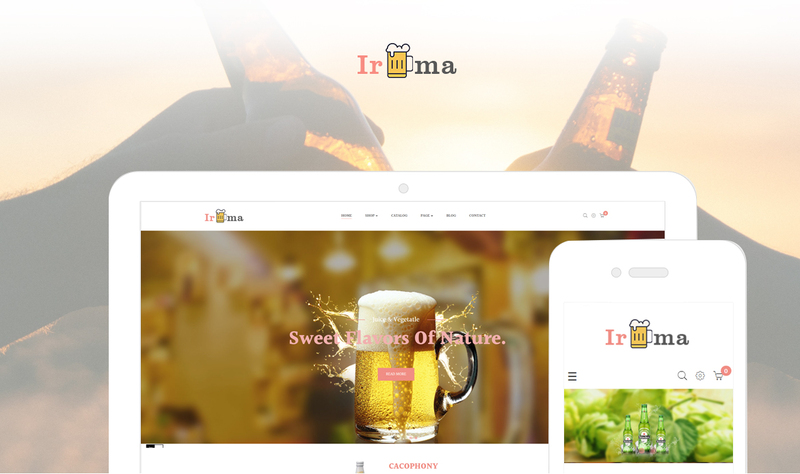 Leo Irma is a perfect brewery website template for brewery supplies online stores. 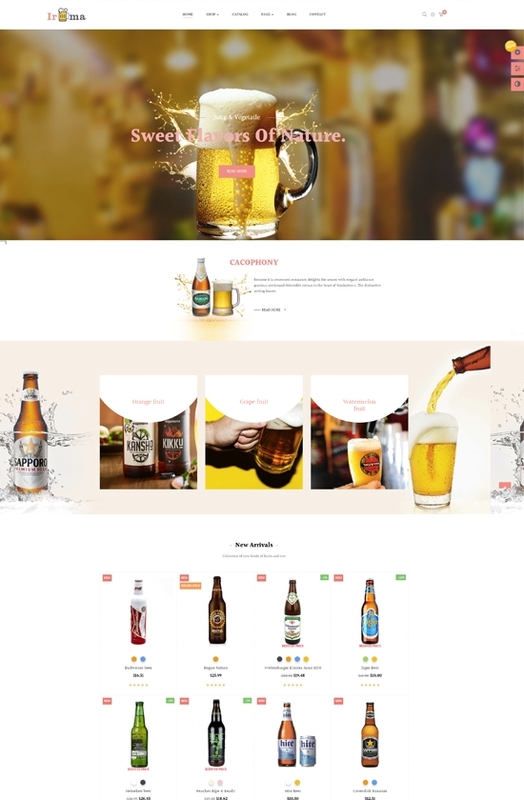 This beautiful clean Prestashop theme will make you thirsty with striking images of brewery products, brings a fresh sense to your client due to cold beer images. 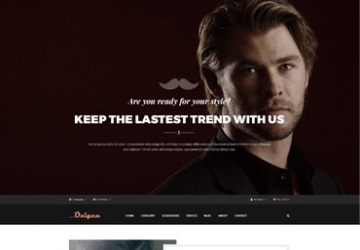 This template is fully responsive to be nicely displayed and customizable on any screen solutions like desktop, laptop, tablet, mobile phone. 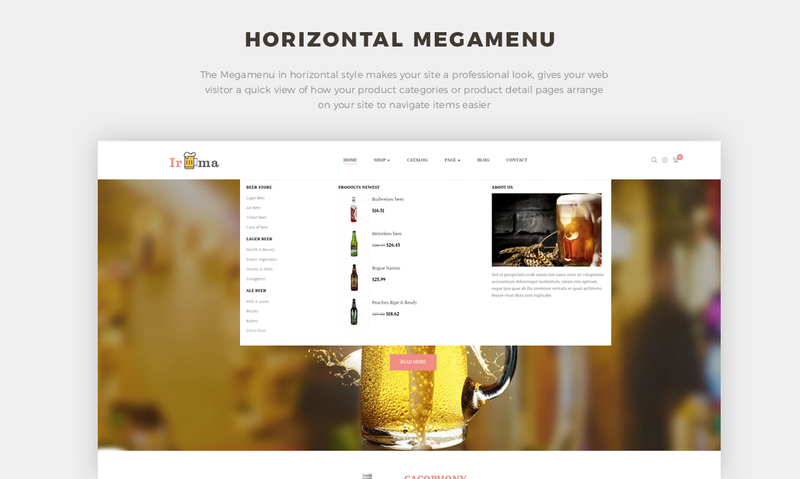 Firstly, Leo Irma is powerful thanks to the horizontal mega menu in dropdown style, which allows you to add text, images, or videos of the items, improves the navigation for your site and web - visitors. 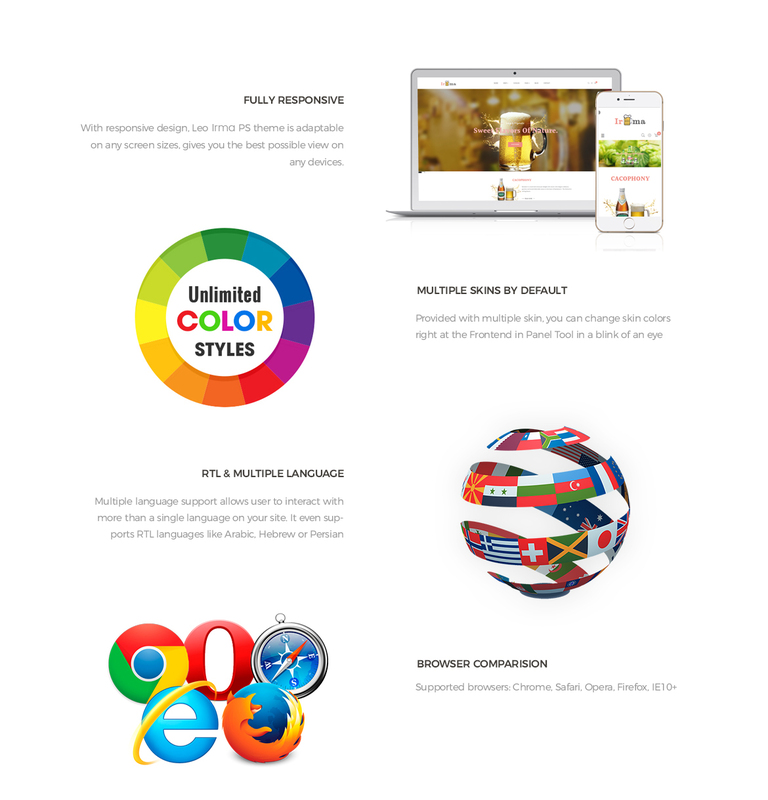 Right under the center mega menu is a large slideshow that grabs your client’s attention right at the first sight to access your webpage. 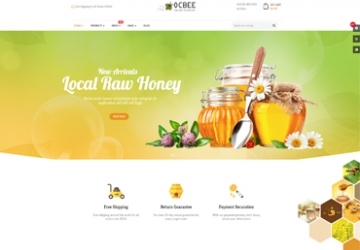 Therefore, you can show the best of your brewery online store or promotion event to attract your client to continue to scroll down and shop on your site. 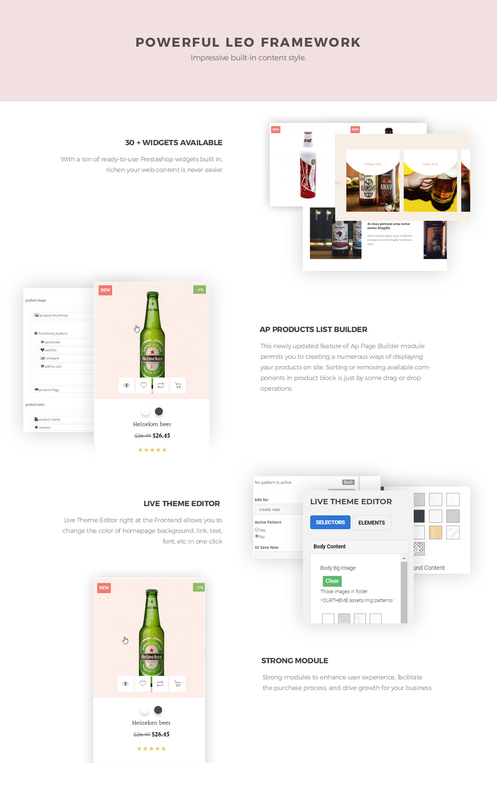 Built on the wonderful Page builder module and Prestashop Framework, Leo Irma makes it possible for you to present your drink products in flexible ways. 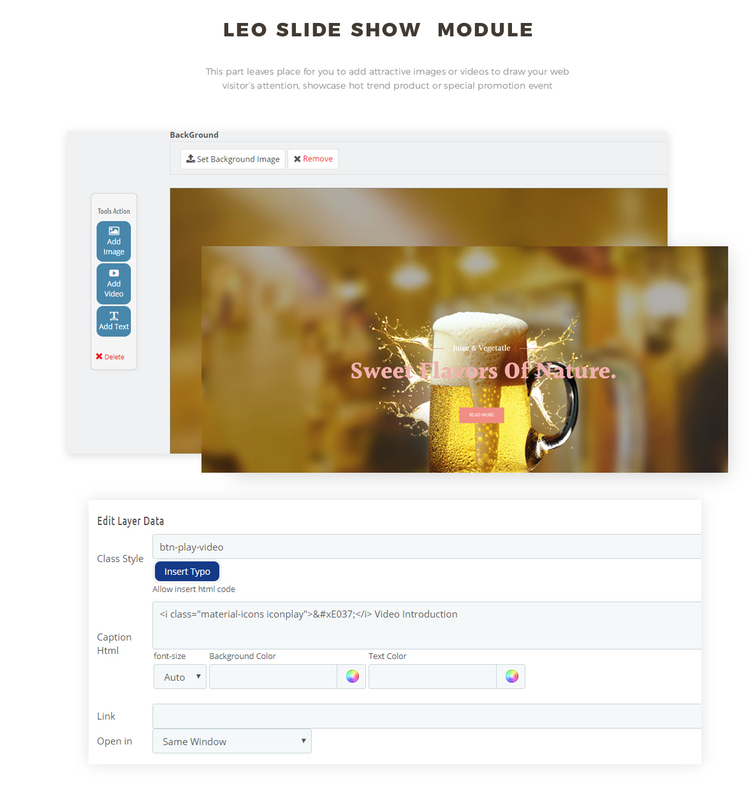 Together with Leo Feature module, preview feature lets you know about the items with more details thanks to a popup window without leaving the homepage. 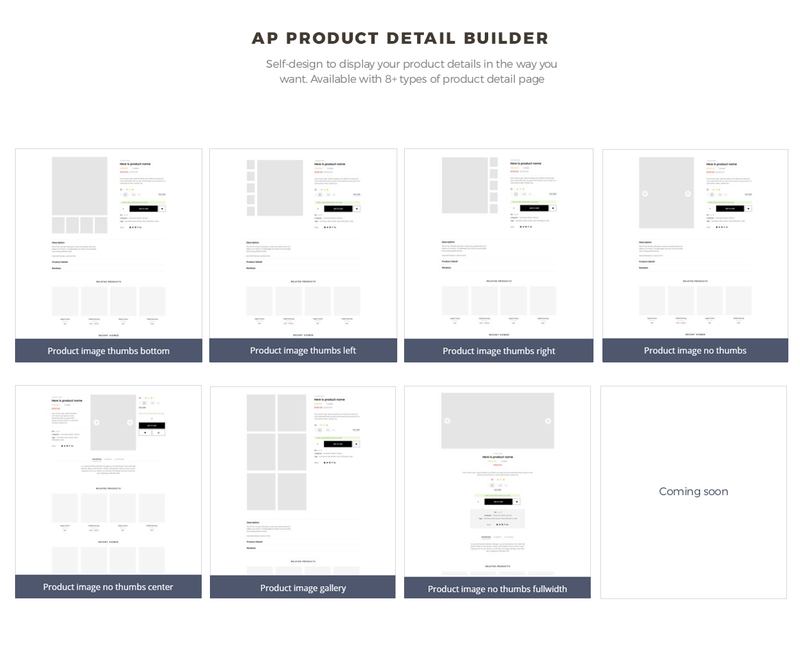 Moreover, rating stars and Add to Wishlist button will help you know how your client like your products. What is more, Leo Blog allows you to show the latest articles or posts, increase the interaction with your potential clients and SEO better. 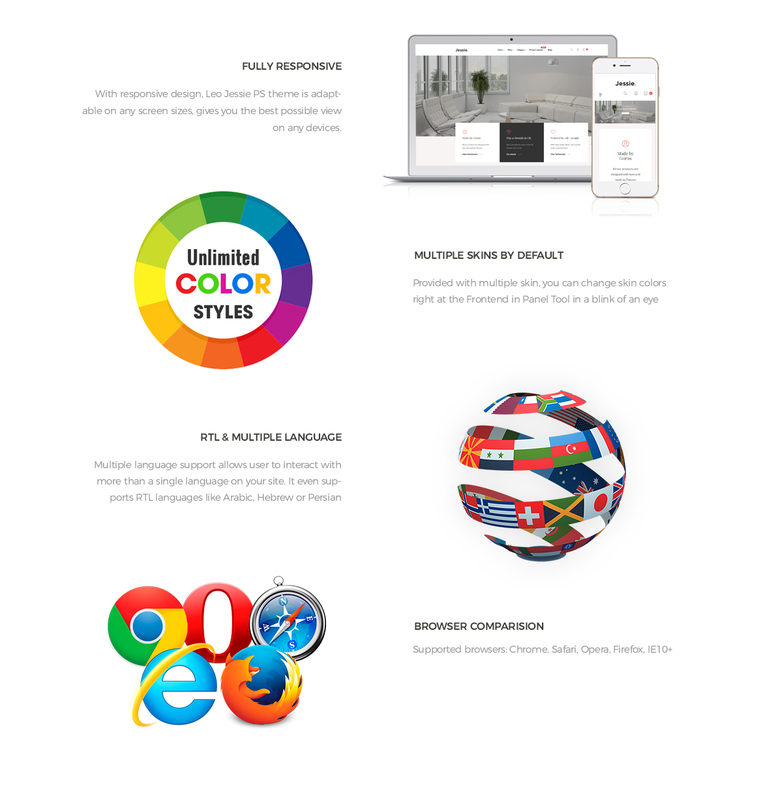 Last but not least, Leo Irma responsive theme supports multi-languages and currency, including RTL languages. 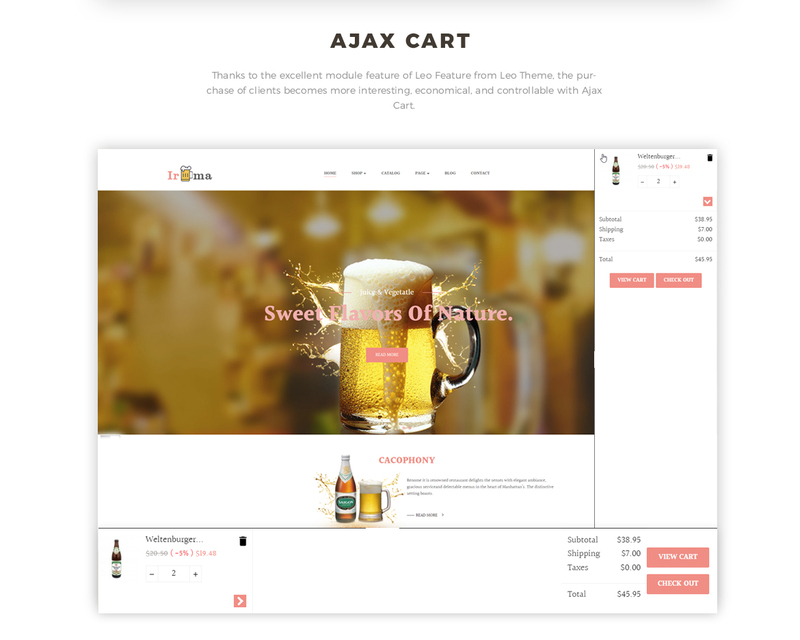 With Block Group top module, the supported languages and currencies are compact in just one button on the header for a better look. 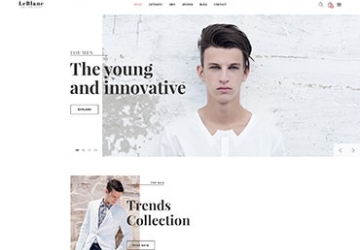 What makes Leo Irma Responsive Prestashop Theme special?